Is your major concern with flexible work about ensuring productivity? As a manager and leading authority on the strategy and implementation of flexible work, I offer you five ways to ensure that your flexibly-working team stays productive. Everyone works flexibly. The biggest impact on a team’s productivity is the ability of people to work well together under changing circumstances. When one person works flexibly, consider that the whole team works flexibly – this will encourage you to build the systems and practices that support success. Improve your team practices. For example, instigate a regular team meeting, project management software or a regular time to catch up socially. If you don’t have great team practices, flexible work could be your invitation to get started, to the benefit of your whole business. Plan thoroughly. The changing nature of work is leading us all to become better project managers. There is true skill in allocating resources ahead of time; this is the challenge and the privilege of management. Your stronger focus on planning will provide your flexible and remote workers with greater certainty, enabling them to allocate their own resources to better meet your expectations. Conduct a flexible work trial. Flexible work trials empower managers to develop confidence that a particular flexible worker can be productive. If a manager believes that information about work outcomes is too difficult to establish, a trial and review provides an opportunity to establish more detailed reporting or to change outcomes, timing or communication as needed. Establish a communication platform. If your team is collaborative, establish a communication platform that is available to all so that each team member can see the reports come in. Your platform could be simple or more sophisticated: Email is generally a poor tool for collaboration. Use a collaboration platform instead, like Basecamp, TeamworkPM or Asana. 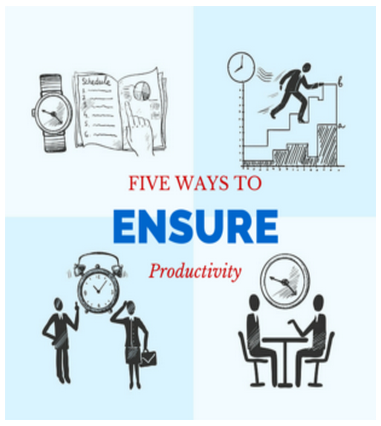 These five steps are by no means the only measures we advise you take to ensure productive flexible work practices. In fact, effective flexible work arises out of paying attention to ten elements of the leading practice framework.